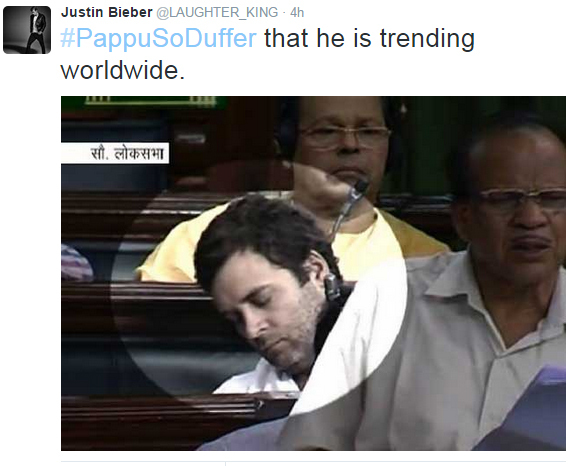 Find Out Why #PappuSoDuffer Tweets Was Trending All Day On Twitter!! 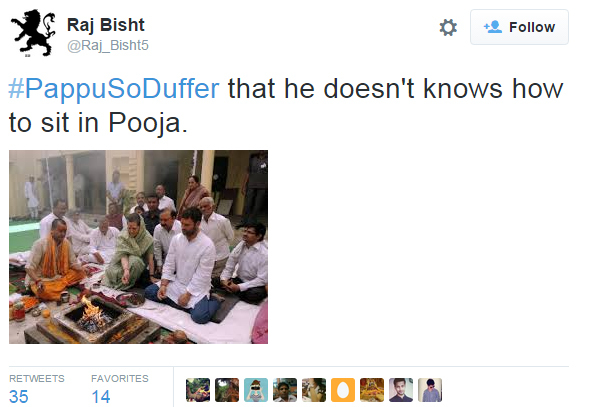 Nobody would believe the fact that Sonia Gandhi’s Son Rahul Gandhi was nominated as the youth icon at the age of 40. 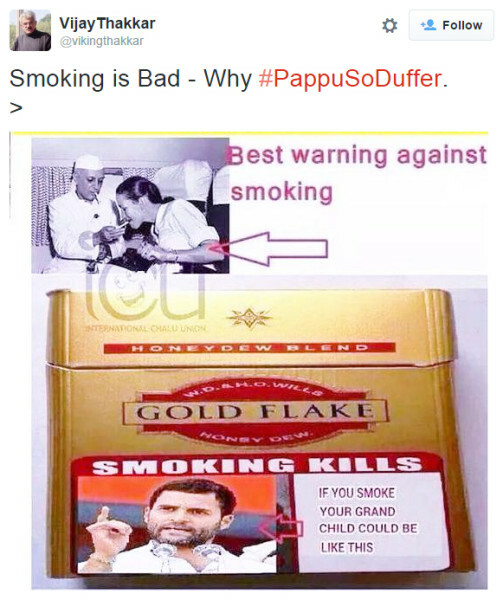 Rahul Gandhi has always been in news whenever he spoke. Be it in parliament or a speech addressing 100’s of people. He always says something that goes completely wrong and people get the chance to show to the world what India’s Youth Icon does actually. Something similar happened yesterday when he was caught with a cheat notes which he was carrying inside the Lok Sabha. The notes had the points he had to speak before the house. 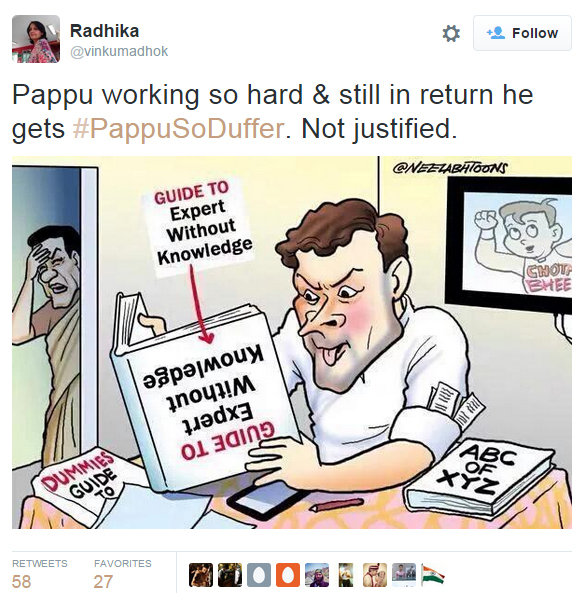 This became a news and twitter exploded with #Pappu College Notes entire day. Something similar happened even today. 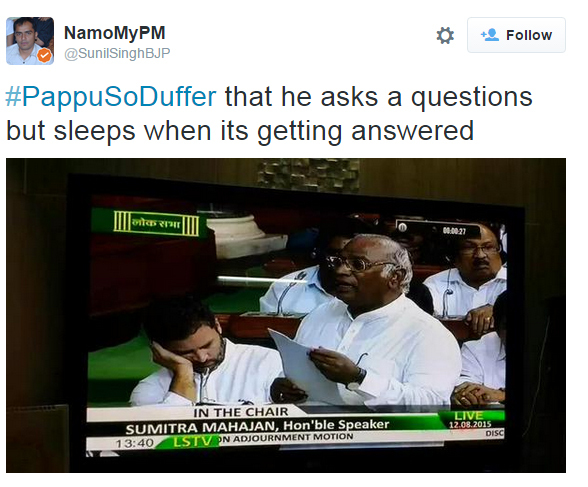 Twitter all the day was trending with #PappuSoDuffer tweets. 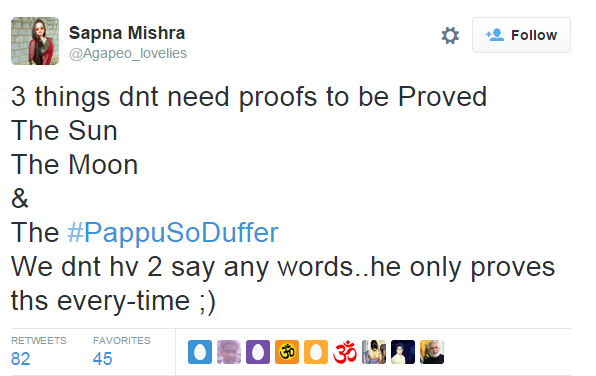 Where different people from around the world gave their versions of why Rahul Gandhi aka PAPPU is so Dumb. 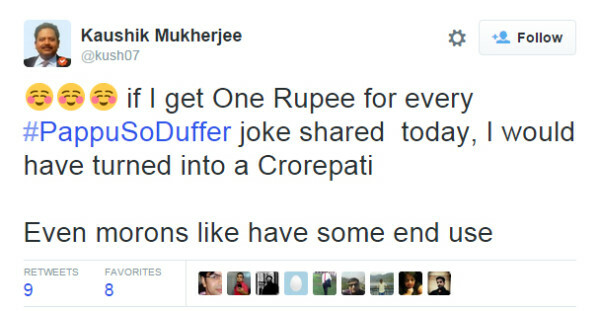 Lets Us have a look at some of the interesting tweets which will give you a good laugh for sure.